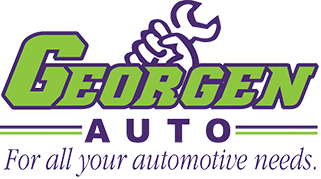 Georgen Auto is a independently owned & operated full-service repair and maintenance facility. Our goal is to ensure the complete satisfaction of every customer, while offering knowledgeable and friendly service. We know that you have a choice in automotive repair shops in the area and thank you for the opportunity to service your vehicle. Georgen Auto is a full service automotive and light truck service center, we work on all types of vehicle including imports and domestics. We also offer tire sales and installation, and are your local Uhaul dealer for all your moving needs. Our company has been in business since 2001, offering quality Service by ASE-certified technicians. We only use quality replacement parts, and have a 3 year/36,000 parts and labor guarantee.